Do you make wishes on New Year's Eve? Sometimes I do, I cannot lie. I'll watch the ball drop in Times Square and I'll think about what the upcoming year will hold and I close my eyes, just for a moment, and wish that the following day and the days after it would be full of happiness and laughter and friendship and love. It may be a little bit silly to make a wish when the clock strikes twelve, but I like being a little bit silly sometimes. New Year's Eve is the kind of night where life feels just a bit more magical and seems a bit more full of potential. And as we approach a new year, I thought I would compile a list of some fandom wishes that I have for 2015 -- fifteen of them, in particular! So, below, check out some of the fandoms that I am a part of and my wishes for them and the characters in them in the upcoming year. And be sure to add your own wishes in the comments section for the shows that you love as well! Purpose for the female characters on the show. We all know that I've had some issues with Community and the way the show has been handled ever since season three. Looking back on it, I realize that the show was problematic even before then. It was just better at hiding the flaws behind homages and claymation episodes. Nevertheless, even though I believe that some damage the show has done to its characters is irreparable at this point, I do believe that the comedy still has the potential to remedy its mistakes and become a stronger, more cohesive show because of it. I believe that the show is capable of change, of bouncing back and returning to my good graces, and the way that it can do that in 2015 (well, one of the ways, at least) is if it chooses to give purpose to its female characters. We all know that Jeff Winger is the hinge on which this show swings but given the fact that there have been three very distinct and very present female characters in the study group the entire duration of the show, you would think Community would take time to tell their stories as well. At CommuniCon this year, Dan Harmon seemed to think that adding more female characters to the study group (like Paget Brewster's character) would be the fix we all wanted and needed. He'd be incorrect in that assumption -- I don't need MORE females on the show. (And listen up, too, any other writers or showrunners out there.) A show isn't female-friendly or female-centric because of the quantity of women; it's female-friendly and female-centric because it tells real, genuine stories about these women and allows them to breathe -- to become fully developed characters. Over five years, Annie and Britta and Shirley have had their growth stunted in favor of big, grand episodes and high concepts (and the male characters like Abed and Jeff, let's be honest). Annie is a woman who is constantly utilized as a one-dimensional prop: she's either Jeff's sort-of love interest or the type-A overachiever. What about the Annie Edison who went to rehab voluntarily? What about HER? I want to know more about that woman. I want to know more about Shirley, with the short time we have left to spend with her. But between seasons four and five, Shirley... lost everything. Her marriage fell apart and her business fell apart and in season five, Shirley was left to do... nothing. Britta, out of the three women, has had the most in terms of growth I think, since season four. But even her growth is stunted and she regressed at the end of "Basic Story" (agreeing to marry Jeff because she was afraid of the future -- what would Britta Perry from the pilot have to say about that, really?) and her "growth" (see: her passion for psychology) was either used as evidence of what a failure she is (she's bartending at the start of the fifth season) or as a joke. Please, Community, don't give us MORE women to butcher in 2015. Give us redemption and growth for your already existing female characters. Please. Jane's struggle with her pregnancy and, as a consequence, her struggle with other characters too. I love how good and kind Jane is. I love that she's a genuinely nice person with a decent heart and a moral compass that very rarely ever wavers. It's difficult on television these days to find characters like her -- to find people who are good, without cynicism or massive failures accompanying their goodness. But what I'd really wish in 2015 is that Jane maintain her sweet nature while also struggling with her pregnancy and, of course, those around her. There is no doubt in my mind that Jane is loving and will always do her best to love the people in her life well. But I'm anxious to see her struggle with people, especially her mother and grandmother and Rafael, too, over how to raise the child. Comedically, I would also like to see her struggle with being pregnant because... well, Gina Rodriguez is great at facial nuances and delivering quips so I feel like pregnant/hormonal Jane would be hilarious to see. More emotional moments between the romantic pairings (Sheldon/Amy; Leonard/Penny; Howard/Bernadette). I love when The Big Bang Theory delivers emotional moments without undercutting those moments with a joke. It does this so rarely that when we have moments, like in "The Prom Equivalency," I find them to be rather tear-inducing and stunning. You can mock the show all you would like. Goodness knows it's not without its faults and flaws and has probably existed on television way longer than is necessary for a show of its nature. And I don't watch the series with as much urgency as I do others because of that. But when I do, I am struck with the potential for this show to become something more elevated than its jokes and something bigger than its laugh tracks/studio audience. Because when we get genuine, heartfelt moments between people on this show... it humanizes the series for us. It reminds us that we can mock and poke fun because its characters are absurd and caricatures sometimes, but that they're also REAL. And I'm never reminded of this more than in those raw, genuine moments. Oh, The Blacklist. It's not a stellar series, I'll be honest. I'm not sure I would even recommend it to others (or be watching it myself) if it wasn't for the fantastic James Spader. Nevertheless, the show has picked up a bit this season and the few episodes before hiatus were quite good. I know the show will bring out some of it's stellar action sequences when it airs its post-Super Bowl episode in February, but I'm hopeful that 2015 will bring us more answers than questions when it comes to Raymond Reddington and his loyal band of FBI lapdogs. Specifically, I hope that we don't draw out the whole Tom Keen of it all for very long. The Blacklist has a lot of potential -- when it's good, it's really good -- and I think it's still pretty unsure of itself. It doesn't know whether it's a dark version of a procedural or a series about tangled webs of lies and conspiracies and secrets. I enjoy this series, but I'm hopeful that it'll step up its game in the coming year and rather than string us along for another year with piles and piles of questions, actually give us some answers. Some sort of closure in regards to the character of Harrison Wells. In the same vein as The Blacklist, I like the idea of mystery. I like the idea of intrigue. And I like the idea of complex characters who are shady but who also seem to be genuinely helpful. Characters with secrets are interesting. But characters with secrets that never get really answered leaves me feeling like a viewer watching a hamster spin around and around on its wheel. I like that The Flash's mid-season finale seemed to indicate something sinister was brewing with regards to the character of Harrison Wells. What I don't like is that the series has already spent nearly every episode focusing on this in its last thirty or so seconds. I'm okay with secrets. I'm okay with mystery and questions. But hopefully 2015 will bring us closer to some answers in terms of Wells as a character. If there's one thing I hate as a viewer, it's the feeling of being strung along in a series without any promise of closure. Hopefully we will have the opportunity to discover more about Wells. More, I hope, than taking a few seconds out of the end of every episode to watch Tom Cavanagh do something that looks shady or narrow his eyes in a (faux or really) evil stare. Agency for and redemption of Clara Oswald. I'll spare you another diatribe about Clara's botched character in series eight and instead look more hopefully to 2015 in terms of her character. "Last Christmas" seemed to hit a reset button in its final moments and insisted that Clara is totally loyal and dedicated to The Doctor now and will travel with him gleefully. What I would really like in the coming year, however, is some agency for and redemption of her character. Twelve loved Clara (god knows why) throughout the entire series. Even when she chose Danny over him. Even when she yelled at and threatened him. Even when she turned her back on him and lied to him on multiple occasions. Even when she betrayed him, Twelve still loved her. (The poor thing.) I want there to be consequences for her actions. I want her to be redeemed -- for her to realize that she treated Twelve horridly and that those choices have consequences. I want her to be redeemed because I want to try to like her and accept her again. But what I really want Doctor Who to do in the coming year is give some agency to Clara. She was an engima and then Danny's boyfriend/a schoolteacher but we've never really known who Clara is, apart from those labels. Oh, sure, we see her act feisty. We see her quip and yell and demand attention. We see her care for children. But I want her to have her OWN stories. Even when Amy and Rory traveled with Eleven, they were not joined at the narrative hip. All of Clara's stories in 2014 involved her with Danny and their relationship. She never really had an identity apart from him and that's part of the reason why her character suffered. I want Clara to be given her own stories this year -- ones that serve to grow her as a character; ones that are not dependent on her finding love. I want to know more about her family and her past because I want to know why The Doctor thinks she's worth traveling with. Why she's worth saving. Why she's worth LOVING from here on out. If the show can manage to accomplish that in 2015, we may be on better terms. Confidence for Jess and Winston, as well as more stories between them. A lot of the fourth season of New Girl has been focused on how Jess is uncertain of herself as a person and tentative to fall in love again after her relationship with Nick. It's also seeing Winston embark on a new career -- one that he's actually passionate about, good at, and terrified to mess up. I'm hopeful that the remainder of this season will be able to focus on Jess and Winston's growth, in particular, as characters. I want to see them emerge from this year as more confident, self-assured individuals. Both of them have their quirks and both have their faults, but both are just genuinely GOOD characters who care about other people so deeply that sometimes they forget to believe in and care for themselves. Since Jess and Winston seem to be on a similar path of self-discovery this year, I would love to see at least an episode where they share a story. I've loved the group-centric feel that season four has had (the stories really are strong when the entire gang is together), but I also wouldn't object to seeing Jess and Winston bond over their new adventures and grow closer because they share similar goals this year. Both characters are so great and both are experiencing life changes, more than anyone else in the loft. I really am hopeful that 2015 is going to bring some wonderful stories and growth for Jess and Winston both as individuals and hopefully as a pair of friends. I love these characters -- I love their eternal optimism and how they've finally allowed themselves to be happy. I really and truly hope that this continues as the year progresses. More independence for Laurel, Thea, Felicity, and Lyla (and Sin, too) in Oliver's absence. With Oliver Queen dead,* it seems like a perfect opportunity for the amazing female characters of Arrow to step up and take care of Starling City and the residents within it. I love John Diggle. I really and truly do. I think that Oliver's death will cause him to evaluate what is important in his life and though his family is obviously the most important thing, I think he will realize how much Roy and Felicity will need him. And though I have grown to appreciate Roy and I love Quentin Lance (despite the fact that NO ONE HAS TOLD HIM YET ABOUT SARA), I'm most anticipating the women of Arrow to step up in the absence of Oliver Queen and either fight for the city, fight for his memory, or fight for themselves. We know that Laurel is in training to become Black Canary, and though she's physically prepared with Ted Grant, I really want to see her mental and emotional transformation. I want to see her anger channeled positively, to help fight and honor Oliver and Sara. I want Oliver's death to bring these women together -- these women who only have one thing really in common with each other: their love for Oliver on some level. I want to see Thea become more than just a pawn in Malcolm's game. I want her to be vulnerable and scared and I want her to fight for herself because she is the only one of the Queens left to do so. And I want to see Felicity and Lyla bridge the gaps between Oliver Queen and The Arrow. I want Felicity to be vulnerable and terrified and really, truly shaken but I want her to keep fighting and keep hoping. She will no longer be the light for Oliver but I want to see her be the light that Laurel needs. The light THEA needs. The light Roy and Dig and Lyla and Sin need, too. I want her to never stop fighting. I want her to never stop loving. I'm really hopeful that the few episodes in which Oliver is gone are ones that focus on how these women step up in his absence. They are all strong women. They're emotional women. They're women with passions and feelings and fears, but they have never been the damsels in distress. They've never relied on Oliver to rescue them, not really. I want to see them rescue him -- I want to see them keep his memory alive by protecting the ones they love and doing exactly what Oliver would have done. I want to see them be heroes. *... come on, we all know he's not really dead. Better integration of Jeremy, Peter, and Morgan into A-stories. 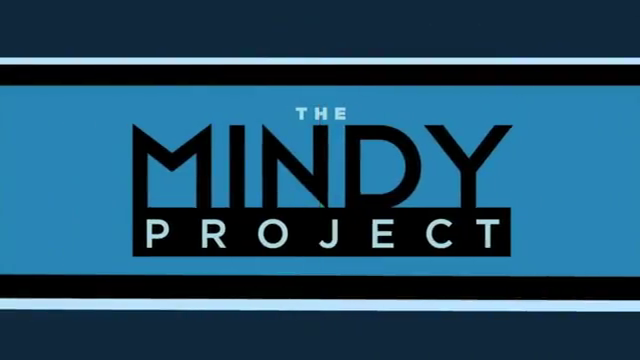 Unlike my darling Ann, I was sorely disappointed with the trajectory that this season of The Mindy Project took in terms of the Jeremy and Peter involvement in a love triangle. I was bored with Morgan/Tamra. In fact, the best thing about the series is two-fold: 1) It is still really funny, 2) It is relying on Danny/Mindy to carry it. The series cut down on its supporting cast this year and it's going to cut down further once Peter exits before the season is over. However, before that happens, I want to see better integration for these male characters into the A-stories. I want more of stories like "Santa Fe" that help include these characters organically. I don't think any of them alone are strong enough to carry an A-story by themselves. I think that Mindy Lahiri, paired with any one of them, could be an A-story. But what I truly want is for this show to remember that these characters aren't just props in the Danny/Mindy office romance. I love the pairing, don't get me wrong, but the show is beginning to stumble into the Nick/Jess problem that New Girl had last year where every A-story seemed to be about them as a couple, leaving the supporting characters to either tag along or be relegated to B and C-plots. I think Jeremy is a fantastic character and Ed Weeks is hilarious. I want more of him, but I seem to be getting less. (I also don't care about his love triangle. That bears repeating.) I think Peter is one of the best things about this show and his evolution from complete and total douche to Mindy's best friend who occasionally says frat boy-like things has been sincerely delightful. Adam Pally is such a hilarious actor and I've genuinely enjoyed seeing Peter grow. Morgan is funny, in a very Creed-from-The-Office sort of way: you're pretty sure he has no idea what's going on, but you just can't help but want to know more about him. This year, I hope that the series decides what it wants to do with these men because the three of them have so much potential and I feel it's being wasted in the background. Less of Hawley, Katrina, Katrina/Ichabod/Abbie and more of Jenny Mills. Much more. I'm beginning to lose interest in Sleepy Hollow, very slowly. Its first season was stellar and its second is slipping into potential disappointment as week after week, we're met with another episode of Henry Is Evil (Or Is He?) plus Crane Family Drama (With Abbie Caught In The Middle). And though the mid-season finale was fairly good, I was reminded during "Mama" of what makes this show so special: the relationship between Abbie and Jenny Mills. And that is why, in 2015, I need more of Jenny. I need more of her wisdom. I need more of her spite. I need more of her cynicism and optimism and I need more of her wielding weapons to save the day. I need more of her vulnerability and I need her to interact more with Abbie, in particular. I need less of Hawley. I could do with less of Katrina and all of the drama she seems to drag along with her. I could do without Mr. Headless Horseman for an episode or two (or more). Heck, I love John Noble but I would be fine with an episode that involved less of Henry. I just need more of Jenny Mills, please. Jenny, who is infinitely complex. Jenny, who I still feel like I don't know enough about. Jenny, who is more interesting than any other character in the show (apart from Abbie) and definitely deserves to be more than just someone to wield a weapon in a fight or a person to call whenever Abbie and Ichabod cannot decipher something spiritual or supernatural. I love Ichabod Crane. And I love Abbie Mills. But I also hope that 2015 is the year of Jenny and that she's able to be integrated better as a series regular with the stories. Emotional stories for Regina/Emma and more bonding between them. After the emotional conclusion to the first half of Once Upon A Time this season, I am more desperate than ever for there to be some really good Regina/Emma moments in the upcoming year. It seems that the series is headed that direction, given the fact that the town's savior has decided to give Regina a happy ending and is now a part of "Operation Mongoose," which is an attempt to do just that. I could talk extensively about how much I have grown to love and appreciate Regina not as a stereotypical villain but as a complex, nuanced woman with pain that was once channeled into evil and malice, now being challenged into fighting for herself and her own happiness (but I'll save that for my actual review of the episodes). Regina has decided that she deserves happiness, something that has taken her an awful long time to even learn to believe about herself. The same holds true for Emma who, until recently, didn't believe she was even worth fighting for and certainly didn't believe that she deserved a chance at love or happiness. What I want more than anything on this show in 2015 is the chance to see the relationship between these two women strengthen. They're usually consistently at odds with each other, with Emma trying to instill hope in Regina and Regina pushing Emma away. But with both of these magical ladies fighting for the same goal in the upcoming year, my hope is that they have more emotional stories where they can connect and grow in understanding. One last good Ron/Leslie moment. 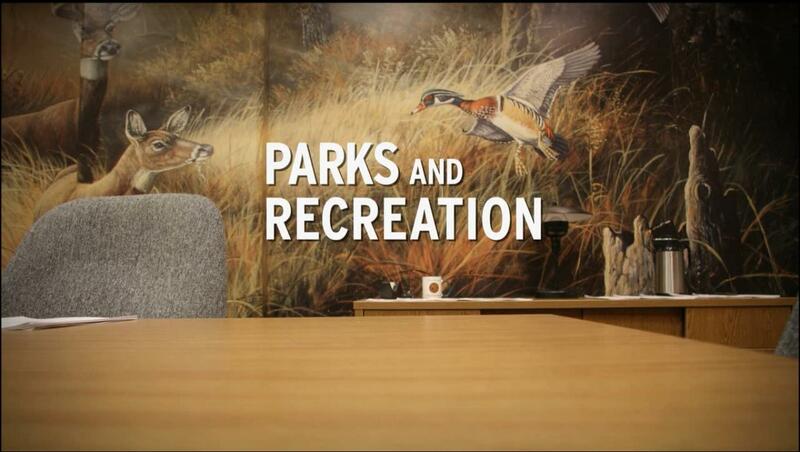 Every character on Parks and Recreation has some sort of relationship with Leslie Knope. It's understandable, since she's the main character of the series, but no relationship is quite as beautiful to me as that of Leslie and her reluctant mentor, Ron. He has always been there for her, even when she doesn't want him to be. She's always respected him, even when he hasn't deserved it. And she has always been able to confide in him, even when she's scared. Ron Swanson likes to pretend that he doesn't care -- that he's detached and doesn't want to help or be invested in the lives of his fellow employees. But the truth is something that Donna uttered last season on the show: Ron has changed. He's allowed Diane and her daughters in and he has a son now. Ron has changed, but it is a change for the better -- it means not that he has compromised who he is at his core but that he's softened and grown and evolved. He's become more compassionate and I love that. And so, with Parks and Recreation coming into the home stretch, all I truly want for this show in 2015 is for there to be one final, heartfelt and emotional Ron/Leslie moment. I want these two people to sit down beside each other for a final time, each realizing how much the other has changed over the course of six years. Would anything be better to close out the series than that? Evidence of how Mona's death is affecting the Liars, but Hanna specifically. I haven't had the opportunity yet to watch the Christmas special of Pretty Little Liars (so no spoilers, please and thank you), but I am anxious for the new season to begin -- with new crazy twists and turns and murder convictions and threatening messages from A -- and even more anxious to see how the death of Mona impacts the Liars. Mona was a really great and complex character: she was a villain but a hero but an anti-hero and probably the most diabolical and intelligent character to ever be on this series. But more than that, she was an actual friend to the girls and was once extremely close to Hanna, in particular. I'm really interested to see how the young woman's life and death will impact the Liars as they continue to try and determine whether or not they can trust Ali. Though Mona was not always well-meaning (or even GOOD), she died trying to warn the women of impending danger and I think that's noble. And I think that her death is something that needs to be reflected upon by the four young women -- others have died in their lives, but no one THAT close to them and to their crusade against A. It changes the game for them all because it reminds them that what they are dealing with -- or who they are dealing with -- is dangerous. 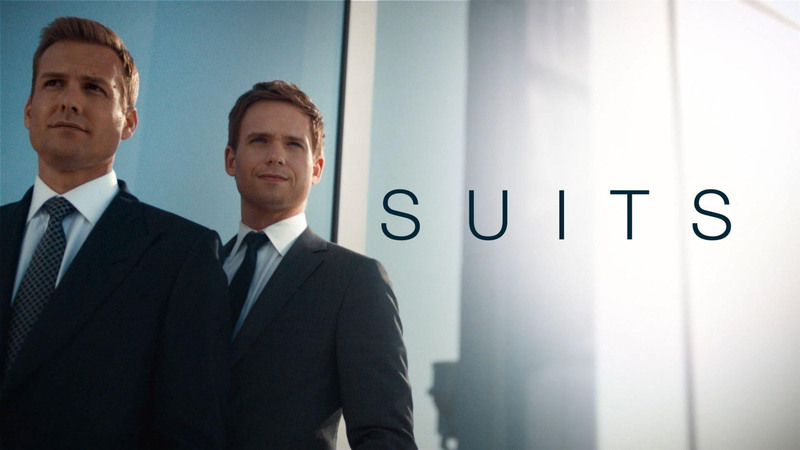 Before it went on winter hiatus, Suits dropped a bombshell (Louis found out about Harvey and Donna hiding Mike's secret from everyone and angrily confronted Jessica, in what was some of Rick Hoffman's finest work on this show) and what I want most in 2015 is for this drama to explore more of Harvey and Louis' relationship in spite of the rift that is inevitably going to occur between them and the firm. I've always thought that Harvey and Louis had the most interesting and complex relationship on this show. Louis is constantly seeking Harvey's approval and Harvey is constantly dismissing him at best and downright insulting him at worst. But in the moments -- those rare moments -- where Harvey and Louis set aside their arguments and their differences in order to really understand and listen to each other, we find that Louis admires Harvey more than he will ever know and Harvey cares about Louis more than he will ever let anyone else know. These are men who used to be comrades and friends when they were associates and who still harbor friendly, nostalgic affection for each other, beneath the snark and anger. With Pearson-Specter sure to endure some internal chaos when Suits returns soon, I'm hopeful that we will have the opportunity to see some genuinely good and powerful Harvey/Louis moments. Good scenes for the core four together (Sarah, Adam, Crosby, Julia) before the series ends. 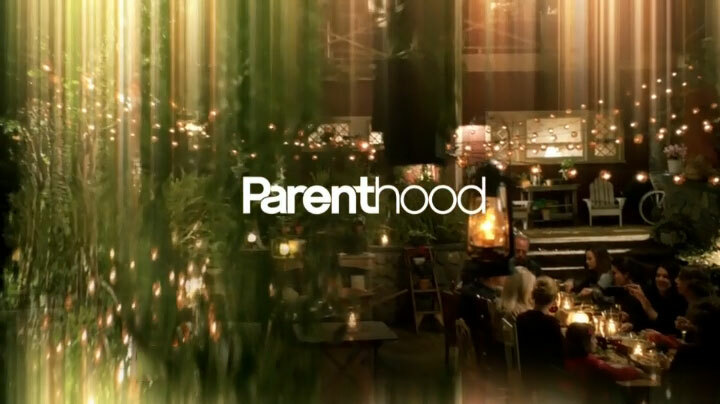 This season of Parenthood is its last and with the series starting to wrap up its stories and characters, what I am hoping I will see more of in 2015 is the relationship between the four core Braverman siblings -- Sarah, Adam, Crosby, and Julia. With Zeek in the hospital, possibly near the end of his life, it seems that the Braverman siblings will need each other more than ever. Season six has seen each of the siblings dealing with their own stories and their own families. I love that Parenthood explores so many different relationships. I love that this is a show that focuses on how important families are and how each family is different and looks different. But what I really love is when the show has the chance to explore the sibling bond between all of the Bravermans. I really love their dance parties. I really love the moment they spent the night at Julia's house so that she will not be alone after Joel left. I love that they support and care about one another. And as the series draws to a close, I cannot think of anything I want more than a chance to see these four individuals -- these people who are so totally different from each other -- become pillars of strength not just for their significant others and their children and their parents but for each OTHER. Adam is always the protector, but I want him to realize he needs his siblings. Julia is usually stoic, but I want her to see how it is okay to be vulnerable around her brothers and sister. Crosby and Sarah are occasionally aimless, and I want them to find purpose in comforting each other and being there and strong for Julia and Adam. I want to see these four Braverman siblings join hands, metaphorically, and keep their large family together by keeping their smaller ones intertwined. There is so much beauty and strength in their relationship with each other, and I cannot think of any better way to celebrate the final few episodes of the show than by celebrating their relationship with each other. I've been re-watching the first season and remembering all the things I loved. I too have felt that the characters (especially the women) have been very stagnant and while some episodes in the last season did make me smile none filled me with joy. The show can be very smart but sometimes I feel like it's trying to be clever at the expense of the characters that I love or any real development or honest human experience. The “show” may be trying to say funny things but I'd rather watch fleshed out characters with things to say. Although this show started out very strong (with an experienced production team) they are still in their first year and have some things to figure out for themselves. Among my wishes would be: Show me Iris West. I still don't feel like I know her very well. She has been charming and smart and I do want to root for her and Barry. But she has been on the periphery of things because she doesn't know Barry's secret life. She's been the fangirl of the Flash and the love interest of our hero but I am left wanting... just more. I look forward to seeing how she handles the knowledge of Barry's feelings for her and how her relationship with Eddie will go. I have really enjoyed Tom Cavanagh's performance and I really like having such an ambivalent character at the heart of Team Flash but some forward movement on that mystery is really important, especially after the mid-season finale. I really hope they don't lose that momentum. I will always love Donna Noble. For me she was one of the most interesting companions for the modern Doctors. On the surface she wasn't especially “special” but she grew so beautifully and her relationship with the Doctor was so wonderful. But, that is off topic. I don't mind a companion who gets kinda dark and scary but this season has been bumpy for me too. I always figured a huge part of the bond between Clara and the Doctor (besides his need to solve the mystery of her) was a deep mutual understanding, due in large part to her being part of his timestream and saving him over and over. But that understanding hasn't felt present lately. I am ambivalent about Moffat as a show runner. Sometimes he gets it so right and sometimes he leaves me completely cold. Overall, I'm good with the Christmas special having Clara take the opportunity to travel with the Doctor again and I really hope, like you, that the show establishes a partnership and friendship that I really love. Community -- Yup. You're exactly right: it often goes for the joke or the homage at the expense of its characters. It's what it did the entirety of last season. Think about each character and how they grew from the beginning to the end of the season, and you'll be sorely disappointed because -- like me -- you'll find that NO ONE GREW AT ALL. I used to staunchly defend this show because I've been ignorant of its errors, but now I just know its potential and am disappointed that it hasn't lived up to it recently. Here's to hoping 2015 is a better year to the females on the series. The Flash -- YES to your Iris West comment. I was thinking about that too, recently, how I like her well enough but I also don't feel like I KNOW her well enough yet. I want to know why Barry is so in love with her. It's cool that he keeps feeling that but... give me a reason. When she told The Flash that sometimes a woman has to be her own hero, I LOVED that. And I want to see more of who she is, too, in 2015. And also big yes to Tom Cavanagh. I just love him but I need some closure or more information on that front, you know? Ditto to your points! I am neither a lover nor hater of Laurel. I would like to see her develop some deeper mental and emotional discipline although I don't think she needs to be a zen-like person like Oliver. Her main motivator recently has been rage. And that rage has turned her into someone who reacts sharply and who flails ineffectively. And her purpose of vengence for her sister's killer is running out of steam for me and will soon leave her at a dead-end. I'd like to see a little bit of that first-season-Laurel who was out to save the world. Felicity, Felicity, such a lionheart. I don't want to see grief twist her but give her great drive and purpose. Don't do a disservice to my most beloved character please! I expect her to hurt very deeply because she loves deeply but she doesn't have to be another rage-driven character, as if anger were the only strong reaction to grief. We've seen the whole “grief has turned me to vengence” thing A LOT on this show but that is not the only result of grief. I want to see some variety in how our characters respond to the loss of Oliver. Give Thea some real truth in her life. She has been making choices based on lies for so long. Let her be the boss of her own story. She went with Malcolm because she wanted to stop being weak and hurt and then she ends up more deeply a pawn than ever before apparently. This season has not worked for me in large part because I feel the centre of a Sherlock story is the partnership of Holmes and Watson and I haven't seen that this year and do wish I would. This series is something I've wanted to like so badly and it has struggled at times. However, I'm glad I've kept watching because there have been some glimmers of hope this season for some interesting directions. Mostly, I am in love with Iain de Caestecker. I think he has been wonderful this season and I look forward to seeing more Fitz. Arrow -- Yeah, imma need Laurel to CALM DOWN just a bit. She's become a bit too impulsive and rash and angry for me lately without those emotions furthering her development or causing her to change. She's spinning on the same wheel over and over of messing up because she's angry but then continuing to be angry. I hope Oliver's death will help bring that season one Laurel back again because I genuinely liked her! I agree in regards to Felicity: she's already such a good, hopeful character that Oliver's death will hit her differently. And it's going to hit all of the women differently when you think about it. Laurel is mourning the loss of her friend and her vigilante and will step up her game as the latter in honor of that. Felicity is losing her partner and the love of her life, so it's natural that she is going to mourn and react differently. And Thea -- blessed Thea -- is losing her brother and her protector. What you said about Thea needing to find truth is just SO GOOD. I need her to let her be the master of her story rather than someone else's puppet. I don't watch either Elementary or AoS, but I heard that the latter has gotten much better! I think I tried to watch it last year but was told it was just okay. Apparently after the Captain America tie-in, it got much better. I love your rant about Doctor Who this year. It really bothered me how a companion who has seen and known the Doctor with more faces than perhaps anyone would be so thrown by another regeneration. I thought Capaldi and Coleman had some moments of really clicking as the season continued but those moments didn't outweigh the difficulties this year for me. On Felicity, can I have another wish? I want to get a little more info on her dad. I have been thinking a lot recently how having a parent abandon her at a young age will have formed her into who she is and will influence how she will react to the loss of Oliver and other things this year and further down the line. I know they will probably not have time for that though. With so many characters it will be difficult to give them all the development we would like and things could get unwieldy but I really hope the writers can pull that off. 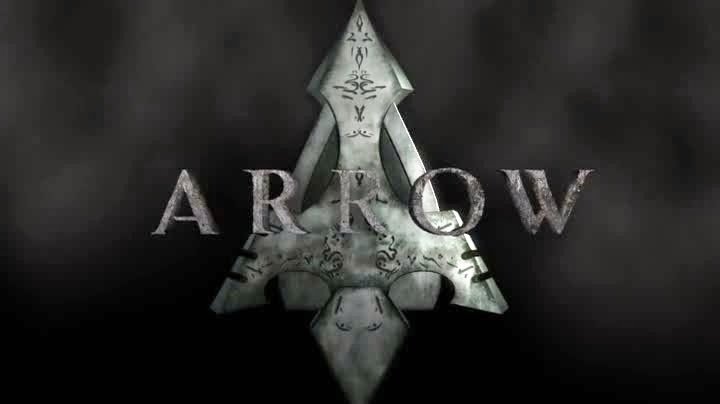 Do you feel things are getting crowded on Arrow? It's a critique I've heard before but I'm not sure how I feel about it. With Tommy, Moira and Sara dead it's not like we have so many more characters now.